Attack of the Bugs is now launched, bringing its unique, goosebump-inducing gameplay to HTC Vive and Oculus owners! Transporting them to a stylish, B-movie, horror-humor nightmare, players will find themselves surrounded by hordes of creepy giant insects in an experience only possible in VR! 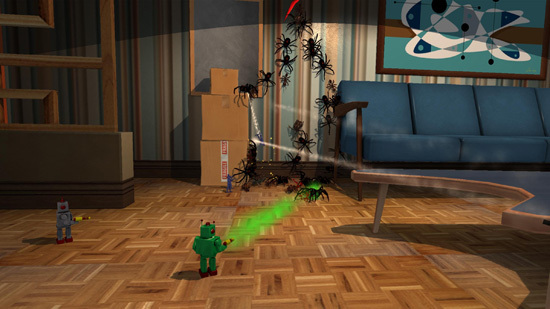 Attack of the Bugs features a twist on traditional VR shooters where, in addition to taking part in the action themselves, players must also gather resources and strategically deploy mini-armies to conquer the evil Bug Queen and escape an insect-filled nightmare. 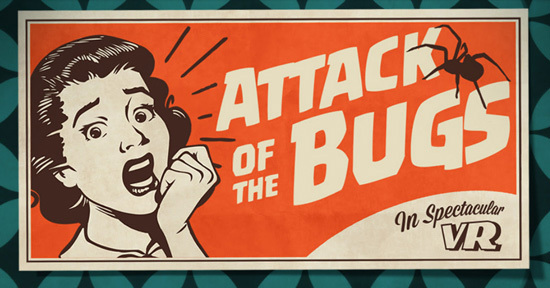 With a mission campaign as well as infinite mode challenges, Attack of the Bugs will reward players willing to face their worst, multi-legged fears! Tons of “Aliens” references; we couldn’t resist! Attack of the Bugs is available now on HTC Vive and Oculus via Steam and the Oculus Store for a base price of $7.99, with a week-long launch discount of up to 35%.